Ecovet Global's benchmark initiative addresses animal health and conservation in the agro-pastoralist community of Aleta Wondo situated in the Ethiopian Rift Valley. This rural farming town is one of nineteen districts that comprise the Sidama Zone in the Southern Nations, Nationalities, and Peoples’ Region (SNNPR) in southern Ethiopia. The Sidama people share a rich heritage tied to coffee cultivation, cattle ownership, and the drought-resistant staple crop, enset. The tradition of enset cultivation and cattle ownership, in particular, is deeply entwined and plays an important role in sustaining families through food scarcity and lean times. People in this region face widespread environmental pressures resulting from overpopulation, land degradation, poverty, and food insecurity. Poverty and hunger are further compounded by deteriorating soil conditions, variable rain fall, and reduced environmental resilience caused by intense crop farming and over-grazing to meet subsistence needs. Yet, in spite of rapid resource deterioration, the concept of environmental conservation remains an abstract notion as households struggle to put food on their tables, gain access to clean drinking water, public health services, and primary school education. In rural communities like Aleta Wondo, where small-scale, mixed animal-crop farming comprises the prinicipal livelihood, every aspect of life (e.g., farming, procurement of fuel and water, food security, and health) rests on the mutual dependency and interconnection of land, water, animals, and people. Animals are an integral part of life in this region, providing food, income, power as draft animals, and organic fertilizer for crops. However, local animal production is constrained by disease, lack of veterinary care, inadequate quantity and quality of feed, and poor husbandry and biosecurity practices. Regional conservation challenges further threaten traditional agro-pastoral livelihoods that are dependent on healthy landscapes and resilient ecosystems. A legacy of civil war, human encroachment, and habitat loss have resulted in significant declines in endemic wildlife species, degraded resources, and biodiversity loss. In light of the current livestock production and environmental dilemmas, small-holder livestock owners in Aleta Wondo face two pressing needs: The first is a community defined need for enhancing local capacity and training in basic animal health, biosecurity, and sustainable livestock management. The second relates to conservation of wilderness areas and natural resources, and highlights a dire need for recruitment of local knowledge and information pertaining to endemic wildlife, livestock-wildife disease transmission, human-wildlife relationships, and current threats to wildlife survival. 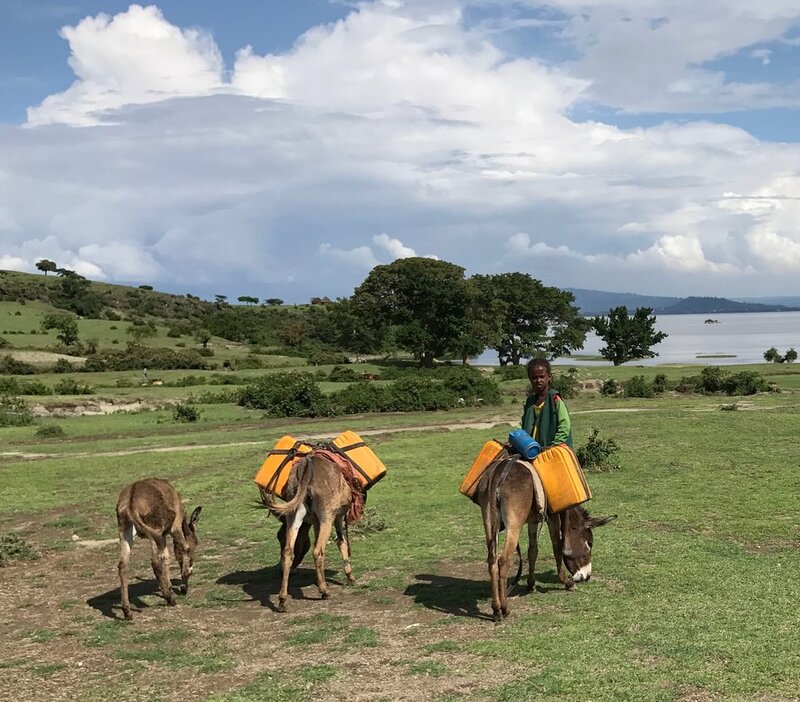 Working with the Aleta Wondo community and in-country partners, Common River and Hawassa University, our strategy focuses on developing solutions that improve animal health capacity, while bolstering existing programs in sustainable agriculture, gender equity, and environmental conservation. Our project goals are fourfold: 1) conduct a community appraisal to identify the main livestock health and production challenges of the region; 2) create an animal health training program targeting women of farming households, who participate in Common River's female literacy program; 3) local integration of agroecology and sustainable livestock management with the input of relevant specialists; and 4) develop conservation stewardship programs to increase valuation of local biodiversity and natural resources. In achieving our program objectives, the anticipated outcomes of the animal health and conservation initiative will include strengthening farmer resilience, alleviating food insecurity, and improving the health and relationships of humans, animals, and ecosystems.